Sorry for the long hiatus in this space. Anyway, this order was from my childhood best friend. 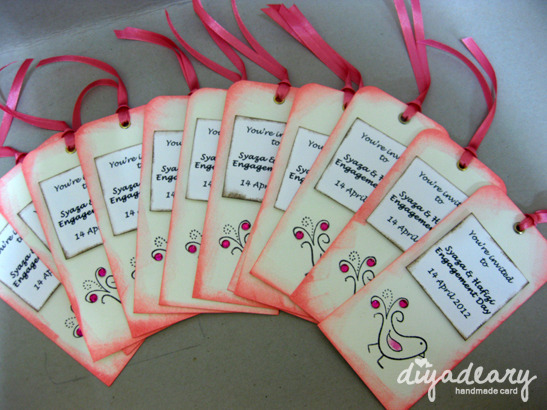 I love her idea - an invitation tag which can be use as a bookmark later. 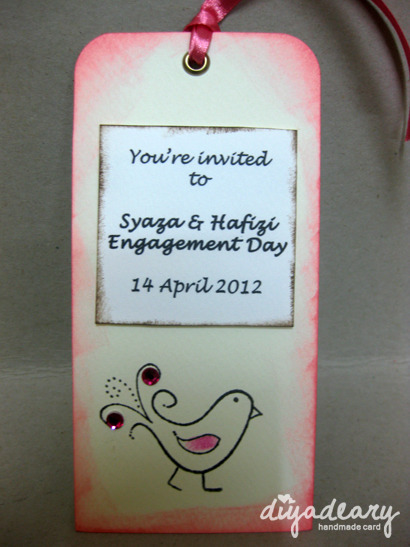 And, all she wanted for her tag were pink theme and bird. Yes, a bird. It was cute. Haha. 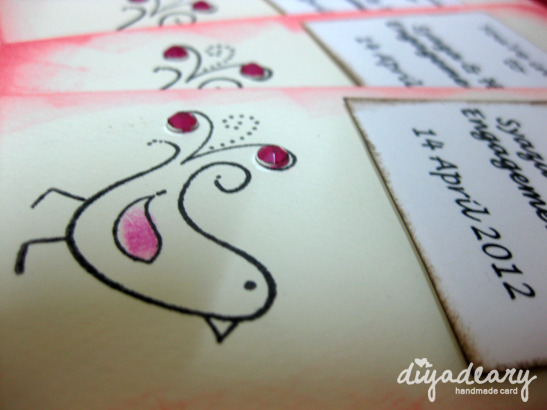 Instead of using the bird she provided, I use the bird clear stamp which I have. And. she loves it. Yay!